Two men who stole a car from outside a Norfolk post office discovered a young boy inside the vehicle… so they dropped him off at school! Norfolk Police say they responded to a call shortly after 8 am in the 400 block of W. 20th Street for a possible stolen vehicle. 13News Now has learned that two carjackers got into a car that had been left running outside the post office. Finding an 8-year-old boy inside the vehicle, they asked where he would like to be dropped off. The child told the suspects to take him to Ghent Elementary School, which they did, and then took off in the vehicle. Now, some folks will use this as an excuse to criminalize any parent who lets their kids wait in the car because, “Look what can happen!” But to me this also proves that most people do not WANT your kid. It also proves that most people are pretty nice — even car thieves. Carjackers like cars with keys in the ignition, not kids in the back. This gave me a good laugh! Most people stealing a car have no desire to have kidnapping charges. And if you take your keys with you, your chances of your car being stolen are greatly diminished. I’m glad it turned out all right for the kid! You’re right, and I have been saying it for years. Car thieves don’t want cars with kids in them. And most times it does happen, it is a surprise to the thief. How many times do these type of stories end with the car and kid being found together not far away? A lot of them. A stolen car is not huge priority with a lot of police depts. They come take a statement, get the info, and give you an incident report number for your insurance claim. A stolen car with a kid in it, gets immediate response, Amber Alerts, and far more attention than a car thief wants. Hate to tell you, but more vehicles are stolen without the keys in them, than are stolen with the keys in them. If they want your car, not a damn thing you do will stop them. @Warren, true, but someone jumping in your car when you’re at a gas station don’t expect to have to hotwire it on the spot, I imagine. I wonder how many cars stolen with kids in them had the keys in the ignition? Just read this story to my eight year old who is sick in bed. We had a good laugh and thaught the boy was real cool. Just yesterday my boy wanted to walk our dog by himself for 30 minutes. I was afraid he´d not be strong enough to hold him or not have to presence of mind to take him on a leash when he encountered people or cars. (We live on the edge of nowhere). His godfather though reassured me and low behold he made it no problem to his granny by himself. And was mighty proud. She probably left the car running to keep him cool, or warm, or whatever. Silly silly silly. Kid will be fine for a few minutes if temp is less than ideal, but leaving the car running is just a bad idea, for myriad reasons. Depending on the make and model, a car thief can by-pass the ignition almost as quickly as you can pull out your keys and use them to start the car. And having your kid wait in the car is usually a great way to prevent your vehicle from being stolen, as the thieves don’t want to deal with kidnapping charges. It would be interesting to find out from doing a survey of convicted car thieves, just how many of them and how often they didn’t take a vehicle because there was a kid inside. @Warren- then publicize those numbers! There’s been a rash of home burglaries in my area where thieves take keys and come back later to figure out which car they go with and steal the car. If it were that easy to just steal the car, I doubt they’d bother with the home robbery. The only cars that seem to get stolen without keys are the ones with keyless entry key fobs. The kind you don’t even need to put in the ignition but just have in the vicinity of the car. Like in your pocket or purse. Tech savvy thieves can bypass these or somehow reproduce the signal and steal the car without keys. A trained car thief can. Those trained car thieves are unlikely to be working the post office parking lot on a weekday morning, they’ll wait for a less busy time when they can take their pick of cars. This sounds like the work of opportunistic idiots, who despite their lack of impulse control still managed to not hurt the kid. Last week here in Baltimore there was an Amber Alert for a carjacking where the mom had run into her house (or something like that) and left the kid in the running car. Car got stolen. Cue police and amber alert. Well, come to find out only a few hours later there was NO CHILD IN THE CAR. That’s right. She lied to get the police there faster. This is a good story. Small nitpick, though–when I watched the video, it didn’t say that the carjackers asked the boy where he wanted to go; they asked him where he went to school. So, he didn’t exactly get to be “involved in a real-life Grand Theft Auto.” Nobody would have believed that he went to school at McDonald’s or GameStop. 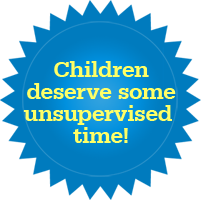 Also, some kids like school, or might not even like school as a matter of course, but want to go on a specific day, for a specific reason, like if there was some special activity planned, or if there was pizza for lunch that day or something. Anyway, I agree with Lenore–most people aren’t out to abduct children; even if they ARE out to abduct someone’s car. 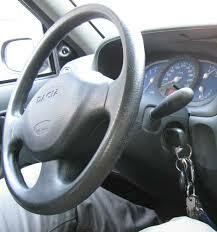 Yes, organized car theft rings tend to steal cars without keys. However, an extremely small portion of crime is committed by organized, trained criminals. Car theft included. The bulk is committed by idiots, often under the influence of some substance. Like all crimes, the majority of car thefts are done by people known to the owner who can get access to the keys. Children and their friends are most common. Most intend to bring the car back eventually; they just don’t do it before the owner notices it missing or before they get themselves arrested in it. The second largest group is opportunists who take cars with keys in them because it suits their purpose at the time. Their goal is generally to get from point A to point B and then ditch the car, often by loaning it someone dumber than them. My favorite was my recent juvenile client who stole a car because it was there and he was tired from walking. If I leave the car running with my kids in it (for the A/C or whatever, but usually because they don’t want me to turn off their dumb movie), I have them lock the doors as soon as I get out, and then when I come back they let me back in. Just to prevent this kind of thing. But I love that they dropped this kid off at school! The “real moral of the story” made me laugh out loud. Yes, even people who commit crimes are generally good people. A really similar thing happened to a friend of mine when I was a little girl. Her mother was driving through the night on a road trip. This was in a van in the early 80’s, the 4 kids were sleeping in the back on the floor of the van. The mom ran into the store to pay for gas, leaving the keys in the ignition, and someone stole the van with the 4 kids inside. One of the kids woke up to see a man driving and said “uncle johnny?” which scared the thief half to death. He turned the car around and returned it, they were gone less than 20 minutes, the cops hadn’t evendors gottend there yet. He made up some story about how he was trying to teach the mom a lesson for leaving her keys in the car, lol. Car thieves aren’t generally looking to be kidnappers. While I certainly wouldn’t want my kid to be taken with the car, my concern would be more that the car thief would drive unsafely, especially if they ended up in a police chase situation. As soon as these guys find out there’s a kid in there, they know they’re in trouble, because now they know the cops are going to come after them as a high priority AND they’ll be dealing with a kidnapping charge. Besides, for someone just looking to get a car, a kid is a wee bit more trouble than it’s worth. I heard a story a couple of years ago where the thieves found a baby in the car, they just took the car seat with the baby still strapped in, and left it on the sidewalk. Kid was found quickly and was safe and sound. I didn’t continue to read the back and forth on the argument about whether thieves choose cars with or without keys, so if this has been addressed, my apologies. The bottom line is that thieves want the easiest cars. I live in a neighborhood with a fair number of car thefts and car burglaries. The VAST majority of these are unlocked cars, so much so that there is a campaign to get people to lock their cars (and bring their guns, laptops, etc., inside the house). We live in an urban area with high crime and the main deterrent to not having your car stolen or burglarized is to lock it. I would imagine the same would be true in front of a gas station. Take the key and lock it and you’re pretty set. There (apparently!) are plenty of people who don’t do these simple things so thieves most likely won’t bother with your slightly more challenging car when there is an easy mark parked two bays over. I know people including myself that had money and cds and such stolen from their vehicles. None of us lock are vehicles anymore. The cost of replacing windows, and repairs to the door are far more costly than what they can get from my vehicle. And no we did not go through our insurance, because keeping our zero claim status was a lot more cost effective. And they say there is no honor among thieves! The thieves will probably get a break from the judge. This seems like a backhand swipe that really isn’t relevant to the main point of the article. What’s the difference between “child abduction” and “kidnapping”? The oldest of us, who are older than the baby boomers (if such a thing is possible) were over-protected because of the Lindbergh Baby. My child was born in a birth dearth, a GenXer, and these kids were ignored, mostly, by society at large, which was still busy day and night worshipping the adorable boomers, who were now teen agers and “YUPPIES”. We were allowed to be “permissive parents” and it was a fun, easy time. A favorite movie of my kids’ when they were in middle school, was RAISING ARIZONA, a whole ‘nother spin on kid-swiping. Could we look at these incidents as cultural anomalies? And our times as shifting sands?